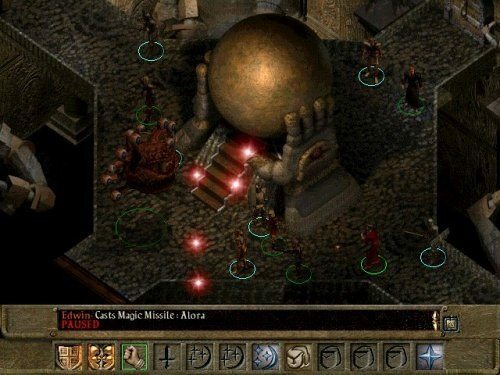 Baldur’s Gate II: Shadows of Amn is a sequel that is closely tied to the events of the original Baldur’s Gate with similar gameplay mechanics also present. Like the original, the game was given a rebirth through an Enhanced Edition (released in 2013). The game takes players south of your original adventure in the land of Amn, a small country that is known for its merchants. Much of the game focuses around the capital city of Athkatla which is home to a number of guilds, councils and organisations. This game area is reminiscent of a medieval time in our own history. 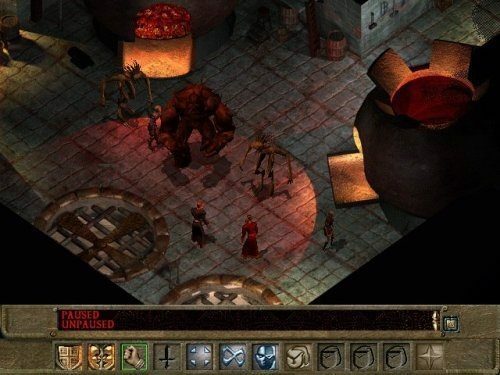 The start of Baldur’s Gate II has the hero wake up within a cell after you and your party were overwhelmed in an attack soon after the events in the first game. After escaping from confinement with a few other companions the real adventure begins. With a main storyline filled with 50hrs of content and side quests enough to fill another hundred or so, there definitely isn’t a shortage of content to experience. In terms of gameplay you’ll find this sequel to be very inline with what the original had to offer. Players will again be able to control a party of up to six adventurers and deck them out with items that you find or buy during your journey. Characters will also level up to gain new stats and skills that can help you define their role on your team. Players will also have to carefully consider the reputation of their party this time around which changes the way NPCs interact with you based on your past moral actions in the game. Some party members will even object to the choices you make if it goes against their alignment and ethics. Baldur’s Gate II achieved the impossible by providing a better game than the original and is a must play if you enjoyed the first game. Builds on the success of the first game to create something even better. Create your party of adventurers and travel a varied game world. No shortage of skills to learn and items to equip. Morality system requires you to carefully manage your decisions. Tackle the game with friends for the true multiplayer experience.